EVERYONE loves shopping! Point me to a person who genuinely dislikes shopping and making a good deal on a sale and I will… be very surprised. Shopping is like therapy for me. I just wish it wasn’t so expensive, haha. But I love doing it. Thankfully I’m also rather picky with what I buy so I don’t actually ever spend more than I intend to. It’s hard for me to actually find things that are worth buying. 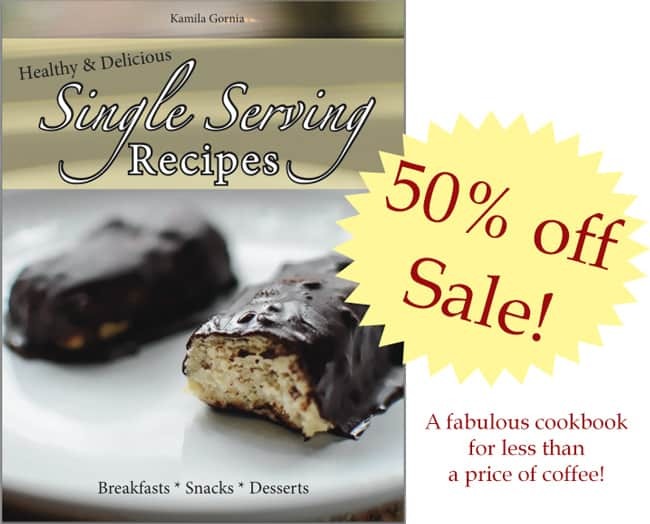 You can get 50% off my eBook “Healthy & Delicious: Single Serving Recipes” with the code “CYBER50“! This code is only valid from today until end of the day Monday (Dec 2). Make sure you take advantage! You will be able to get the eBook for less than price of a coffee!! It’s gotten rave reviews and mentions from other bloggers’ and my readers so I know you’ll enjoy it as well. Check it out here. You’ll love it! Just wait. Did you miss the Ultimate Healthy Living Bundle the first time it came around? We’ve heard from so many people who were disappointed they missed out the first time around, that we’re happy to announce the Encore Flash Sale for Black Friday weekend only! We took 86 eBooks (plus 1 eCourse) by popular bloggers on topics like real food & recipes, green living, natural cleaning and beauty, mental and emotional health, fitness, herbal remedies and more. Then we added the brand new “Coffee Table Conversations,” a 12-week series of author mentorship through interactive online conference calls and private support groups. We finished it off with 9 bonus sponsors offering you $150+ of incredible products and services to help you along your way. This includes bonuses like $25.98 of FREE eco-friendly laundry detergent from Dizolve (because we all need clean clothes). This bonus nearly makes up for the entire cost of the bundle! Ultimate: Maximum; decisive; conclusive. The best or most extreme of its kind. We wouldn’t call it the “ultimate” bundle if it wasn’t true. As our hard-working team pulled together the Ultimate Healthy Living 2013 Bundle Sale, we had 3 basic goals: to put a comprehensive health library at your fingertips, to offer something for everyone, and to provide so much value for an itty-bitty price that it would be irresistible. For less than $30, you can pick up your own bundle complete with more than $800 of ebooks, $67 of interactive “coffee table conversations” with their authors, and $158 of products and services to help you on your way toward healthier living. That’s over a $1,000 value! Additionally, 25% of this flash sale’s proceeds go to a few of our favorite non-profit organizations… Shelter Box (specifically for Philippines relief aid), Compassion International, Hope for Women, and Love146! But you don’t want to wait! This bundle is available for only 4 days, from 8 a.m. (EST) on Friday, November 29 to 11:59pm (EST) on Monday, December 2. After this time, this bundle will never be available for purchase again. What are the Healthy Living Bonus Offers? ($150+ value) Bonus details. Check out our Frequently Asked Question page, particularly to learn about file types, how downloading works, transferring to eReader devices, redeeming bonus offers, and all that good stuff. Remember, this bundle is available for only 4 days, from 8 a.m. (EST) on Friday, November 29 to 11:59pm (EST) on Monday, December 2. After that, this particular bundle will never be available for purchase again. 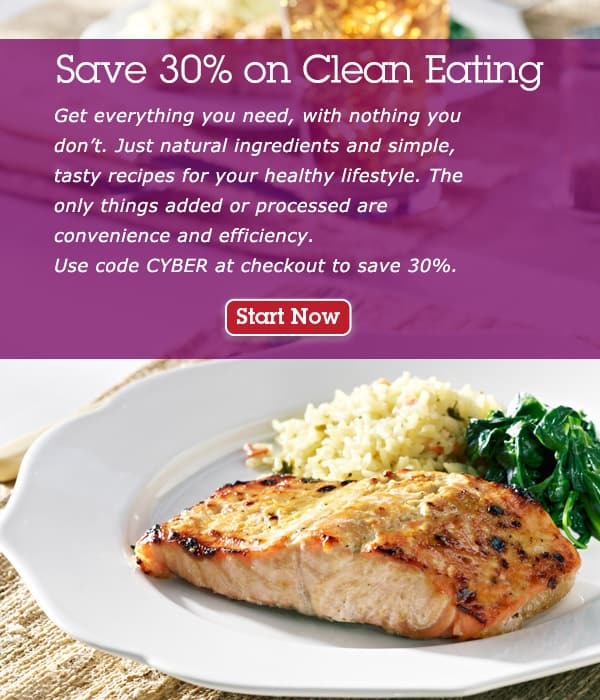 A cool meal planning company, eMeals, is doing a 30% off sale with the code “CYBER”. eMeals is pretty awesome and it’s affordable. You basically pick what type of meal plan you want – and they have a LOT to choose from which is perfect for us healthy eaters. They have options from Paleo, to Clean Eating, to Low Carb, to Slow Cooker based, to more! It’s awesome. They give you a meal plan every week with all the ingredients you have to buy for the week and instructions on how to make it in an easy pdf. It’s worth checking out! It will make your life a heck of a lot easier. Especially during this busy time of the year. Another great thing – this one has helped me a TON. It’s the Tasty Food Photography eBook. This is the ebook that helped me get better with my food photography by like.. a LOT. I’ve been doing photography for many years now but I was always used to shooting people and realized that food photography is a WHOLE another animal. 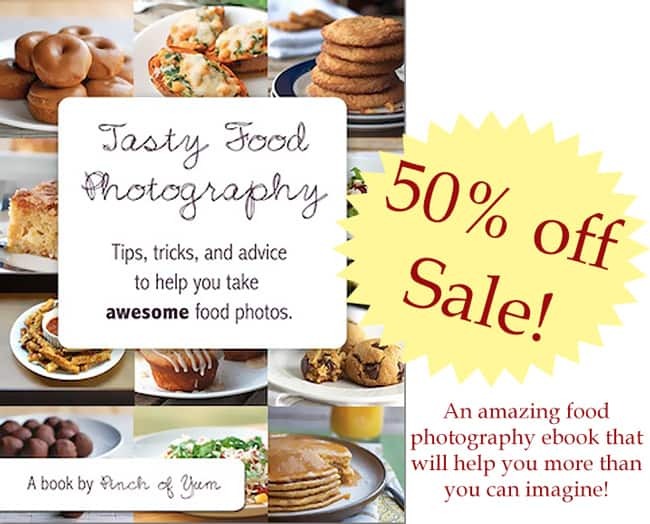 This ebook is so helpful, it’s the single most important photography ebook you could buy for to get better at food photos for your blog or just for fun. Who doesn’t like FREE right? Now that’s the best kind of sale there is. Erin Stutland is doing an awesome free challenge that starts on Monday and it’s perfect for this time of the year. I’m doing it too and I am SO excited because I saw how she is in person during I&P weekend and let me tell you, this lady knows what she’s talking about. Her energy is really contagious. Check it out! It will be an empowering challenge full of quick workouts that move your body just the right way, get you saying affirmations and therefore thinking more positive and ready to take on the world!